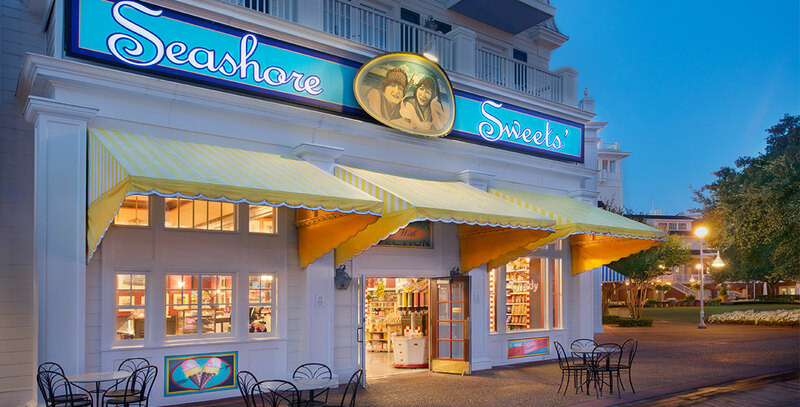 Seashore Sweets Old-fashioned, Atlantic shore-style candy shop at Disney’s BoardWalk at Walt Disney World; opened July 1, 1996. The proprietors are the Sweet Sisters. The shop closed January 31, 2016 and was later replaced by the AbracadaBar lounge.